BOGO Sale Is Here. Now Through Monday 4/29. See Sales Flyer. Since 2006, Weaver’s Ace Hardware has been the local neighborhood hardware store for Amity Township and southern Berks County. 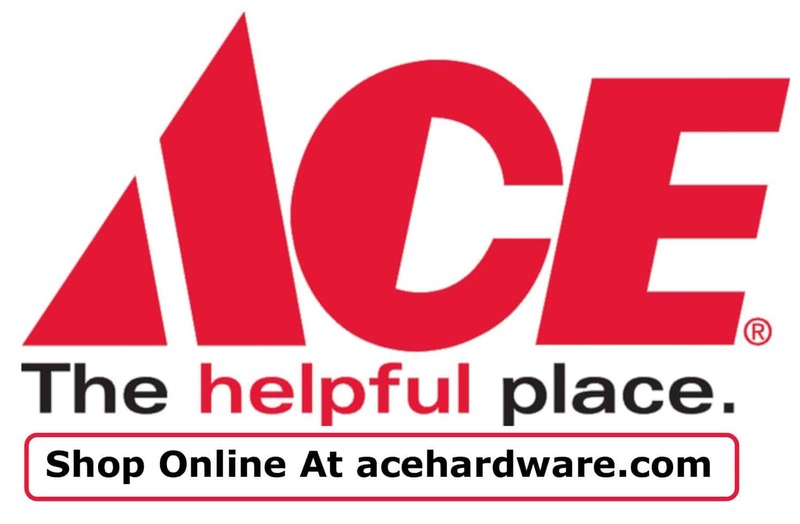 As a local Ace Hardware store, we bring you the highest quality of tools, paint, and hardware, but with the personal touch only a local hardware store can provide. Stop by Weaver’s Hardware in Douglassville for good prices, local experience, and helpful advice for your next project. Our Douglassville, PA location has all the furniture and lawn care supplies you need for your home. Our outdoor living department features a wide selection of patio furniture, fire pits, Yeti Coolers, and grills from Weber and Big Green Egg, so you can turn your backyard into a comfortable entertainment space. Our lawn and garden supplies – including fertilizers, topsoil, mulch, weed control, and gardening tools – will help anyone grow and maintain a healthy and beautiful lawn. We carry a large selection of wild bird seed and feeders, so you can enjoy bird watching from the comfort of your own backyard. Plus, we carry Stihl blowers, trimmers, and chain saws – all the outdoor power tools you’ll need to keep your property looking great. At Weaver’s Hardware, we carry the supplies homeowners depend on for all their home improvement projects. Our large paint department features paints and primers from Valspar, Clark+Kensington, and Benjamin Moore. Find a color you like from our swatch display, or let our paint professionals provide an exact match with our computerized color matching system. Visit our plumbing department to find the right faucet and water filtration system for your kitchen or bath. Choose a new fan or lighting fixture, and make sure to stock up on energy saving LED light bulbs. Our in-store services will help you check off the Honey Do list, including window and screen repair, re-keying and key cutting, and propane tank refilling. We carry a large selection of everyday supplies for your home and family. Stop by to stock up on cleaning supplies, including mops, cleaners, vacuums, and laundry supplies. Our housewares department features cooking & canning supplies, kitchen storage, candles by Yankee Candles, and home décor. We are your one-stop shopping destination for canning supplies, supplying you with jars, recipe books, and canning accessories. We also carry pet supplies, including everything you need to care for your furry family members. At our core, we are a hardware store; we carry all the tools, fasteners, and hardware you need for any job. Our full line of hand tools, tape measures, clamps, and power tools (featuring Craftsman Tools) are suited for equipping the professional and hobbyist alike. Our automotive department carries oil, wiper blades, waxes, and batteries, so you can keep your car running well and looking great. And our large hardware selection features bolts, nails, washers, locks, hinges for any application. Our Douglassville, PA store is conveniently located on Postal Road, across from the Post Office on Old Swede Road. We are right off Route 422, and just minutes from Pottstown and Reading.